To be an inspiration to others, first, one should be self- inspired. If one cannot inspire oneself it will be hard to inspire others. Sometimes life takes U-turn to test our patience, test our motivational skills and it also create situations in which we can’t find out ways to rescue ourselves, but it provides us enough opportunities to beat our defeat and start once again, with great power and determination. Given the relationship we share with our students, FEA facilitators are privileged to have opportunity to touch lives in a very significant way. In July, 2015, I underwent surgery and so when I reached the centre the next day, I had evident stitches. 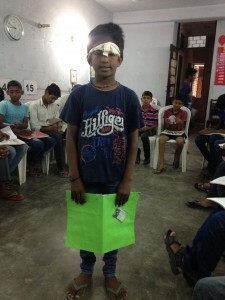 A fortnight later, my student, Amar Mandal walked in with a bandage around his head. He had met with an accident on his bicycle and came directly from the hospital with 4 stitches on his forehead, to attend the class. He was inspired by me and we were all inspired by him. He was inspired and, once again, we were inspired. 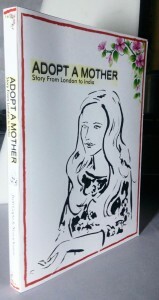 We are now eagerly awaiting the completion of the book that Neeraj has been writing to be inspired by his effort and grateful heart.